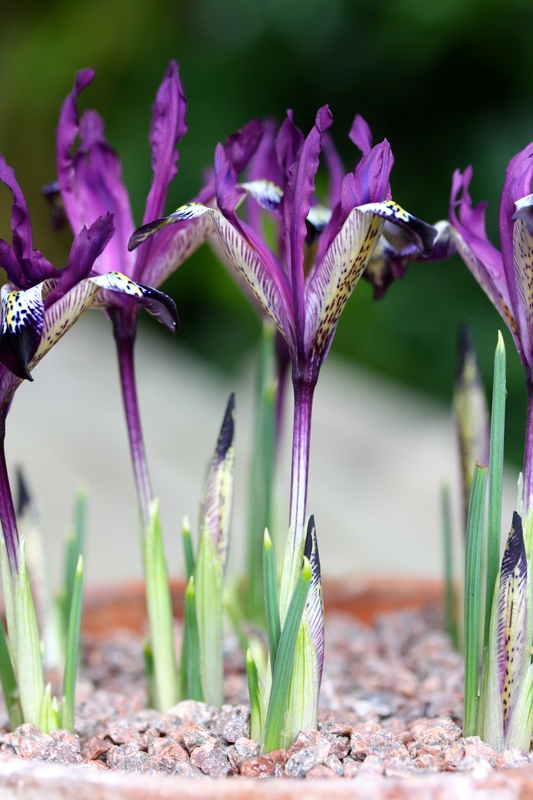 As I predicted exactly two weeks ago, the latest bulb to start flowering in our coastal garden is Iris reticulata ‘Spot On’, a new hybrid developed by Canadian breeder Alan McMurtie. 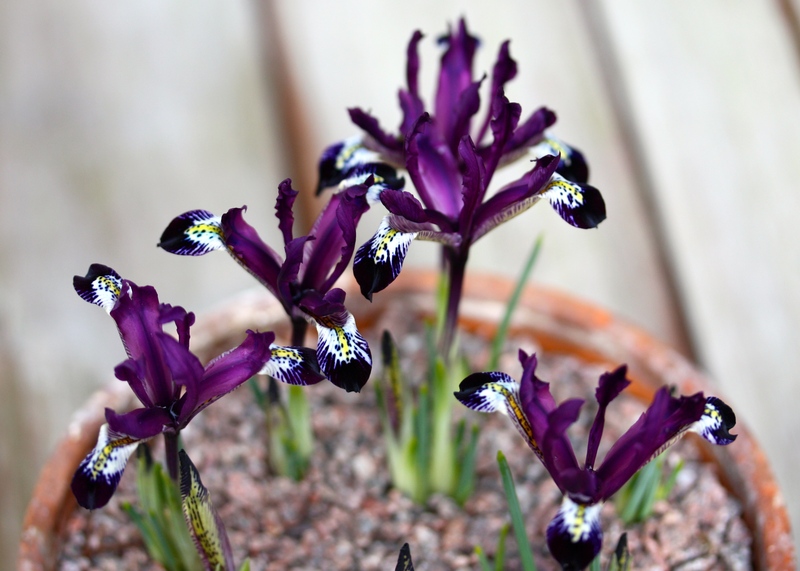 It’s a tiny little thing by reticulata standards, a cross between Iris reticulata ‘Purple Gem’ and Iris reticulata var. bakeriana from Turkey. Each bulb carries pretty flowers of the most wonderfully rich purple. The falls are feathered brilliant white and splashed lemon yellow, creating a dazzling contrast. I particularly like Spot On’s tightly furled buds, faintly speckled and striped with purple, each with a dark tip as if they had just been dipped in ink. It is testament to Alan’s patience that this new variety finally reached the market almost 20 years after first flowering. I picked my bulbs up from Living Colour without knowing anything of their history or provenance, but will treasure them all the more now I know how special they are. These are the first pictures I have taken using my new Canon 60mm macro lens. I haven’t a clue how to get the best out of it yet, and of course I haven’t read the instructions, so I’m afraid these test shots are far from brilliant. I hope practice gets me closer to spot on – it will certainly be fun trying. Thank you Dorothy, very kind! Nice photographs – are you using a macro lens? Great photos of an outstanding spring flower! Even more beautiful photos to come, as you learn more about that new lens! I do hope so Susan! I have been taking a lot more close-ups using my iPhone and it’s remarkable how crisp and clear they are. A gorgeous Iris and wonderful photos. I particularly like the last one with the buds still to come. I was given (with careful prompting, obviously) that exact lens for my birthday last year. I’ve definitely gone along the trial and error route with it, but it’s been largely successful and a real revelation. I tend to use it for my monthly ‘Garden’s Bloggers’ Bloom Day’ posts, (next one tomorrow). Oh stunning! This is a new one to me. Lovely photos too. Thank you! For little flowers they pack quite a punch. Well, thank you. I shall pass your compliments on to the irises! You, Mr FG, have impeccable taste! Well, I only share the tasteful plants I grow. There are gigantic beds of petunias, ageratum and African marigolds that I keep well out of the public eye! 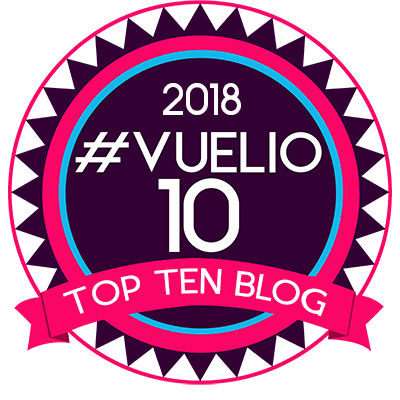 A few of us have had issues with blogs being removed from our following lists. WordPress don’t seem to acknowledge its happening, but I promise it was not deliberate. In fact it is rather annoying. Will keep the flowers coming Judy! I would never know you didn’t have a clue about getting the best shots from your new lens…..those photos are fantastic! And the new little buds are looking so full of promise.